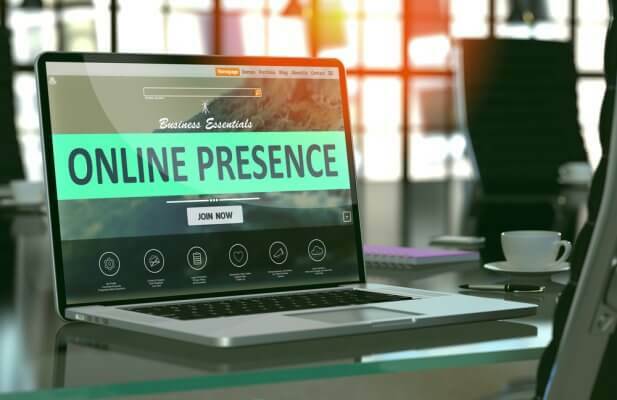 Creating a professional online presence can be confusing if you don’t have much, or any, online marketing experience. Your efforts are complicated by the technical process of putting together an effective platform, with compelling content, that will increase traffic to your site and convert visitors into solid sales leads. To make your platforms and content are effective you have to use Search Engine Optimization (SEO) based on the proper keywords and phrases that will reach the specific client base you wish to attract. You want to create a presence that allows potential clients to find you quickly when searching for services like yours online. Perhaps you are asking yourself, “Why should I go to the effort?” You might also ask why, and how much, you should use social media in your firm’s marketing and business development efforts. To answer those questions, think about the last time you searched for products or services on the internet. You may have gone online to compare prices on new cell phones or service packages or find a contractor. Your potential clients or customers will do the same when looking for products or services you provide. So, why not put out a virtual “welcome mat” and make it easy for them to find you? While you are at it, why not give them a reason to send you an email, fill out your contact sheet, or call you? Your online platform can be a great way to create initial contacts with a large volume of potential customers for little investment. Beyond serving as a virtual phone book, your online platforms can provide a direct avenue to your customers if they are constructed and used effectively. There are many keywords in your SEO strategy that you can use to attract customers. The “top terms” for each type of customer will vary. Customer behavior also has an impact on your keyword approach. When looking for a product or service, consumers are doing non-specific information searches using broad terms. They are searching by product/service, type, size, value (top, best, results) and – if SEO is working – your name comes up at the top of their search. The key is to remember to diversify your keywords and to use both positive and negative keyword lists. You also have to make sure you target your keywords. There are various techniques that you can use to increase traffic and convert a visitor into sales leads. Let’s focus on your landing page or the place that customers will go when their search sends them to your website. The first thing you want is a header that shows them they are on the correct page. The header should also talk about the specific product or service you provide so they know they have found that for which they were searching. Your landing page should also be specific to your service or client area to assist with SEO, such as Serving the Dallas-Ft. Worth Area with a subhead such as We Are the Best Value in the Area! By using these keyword phrases, people who search for your product or service in the Dallas-Ft. Worth Area, and are looking for “best value” will find your business at the top of their search. After your introduction in the header, you aim to present your product or solution to answer what the person was trying to find. It should tie into your subhead and talk about your product or service that is the solution to their search. You want to take this opportunity to differentiate your product or service from others and convince them your product or service is best. The next thing you must have is an initial call to action (CTA) on your landing page that shows them how to order your product or use your service. The CTA is usually constructed as contacting your company in the same way to place an order or request services. Your job is to create content that will persuade them to call you. At a basic level, include your contact information with phone number, email, and/or a link to a contact form for them to fill out. All of this should be readily visible. The best place is top of the page, but a display box can also work to draw their eyes to the information. Even if they just quickly look at the page, they should be able to find this information easily. Part of the CTA is to use language and presentation that convinces the customer that you have what they need. Final Call To Action – What To Do! After you lay out the initial CTA and explanation of your product or service, your next step is to reinforce the initial CTA with a statement telling them how to contact you. Either they should call you or fill out your linked intake form. Whichever they decide, it will come directly to your phone or email so that you can win this new client. This is not a comprehensive SEO strategy or platform design for your web presence. It is meant to illustrate that, in a few easy steps using these techniques and perhaps some professional help; you can grow your online presence. By using SEO, keywords, and directed content you can increase traffic to your site and convert those visitors into sold sales leads.